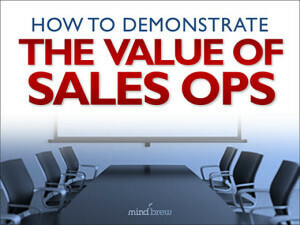 One of the best ways to kick your sales ops career into high gear is to spearhead a major initiative. And by major, we don’t mean putting together a one-off analysis over the course of a week. We mean championing a dramatic change in the way your company does business that could make a significant positive impact on the bottom line. It might take months or even years of effort, but it will be worth it. If you felt a few butterflies in your stomach or your palms got a little sweaty after reading that first paragraph, don’t worry, you’re not alone. The thought of taking on this kind of high-profile project makes most people nervous. It’s intimidating. You see, the thing about major projects is that they have the potential to be really great or to be really spectacular failures. It’s that one thought that makes most people hesitate — What if I fail? Actually, our experience and research show that failing at a major project is often still good for your career. CEOs are looking for “big thinkers” who are willing to challenge the status quo. Some companies have even adopted “fail fast, fail often” as a mantra in hopes that it will encourage their personnel to be more innovative. Failing at a major sales ops initiative is better than never trying. But succeeding at a major is better than failing. To improve your odds, we recommend tackling one of the following six initiatives. Each of these offers the potential for outstanding results, and many other B2B sales ops teams have undertaken similar projects. That means you can learn from their example to improve your chances for success. Improve Sales Targeting Efforts. Going after the prospects that are more likely to buy makes salespeople dramatically more efficient and productive. Not to mention that it improves revenues, and often, margins as well. For help getting this type of initiative off the ground, check out Targeting Your Most Profitable Prospects. Data-Based Account Planning. A lot of sales teams create account plans that simply call for growing each of account by 15%. But by digging into your historical data, you can identify which accounts could grow by 15%. And which can grow at 5% or 25% or 50%. Even better, data-based account planning will allow you to tell your salespeople what specific cross-sell and up-sell opportunities exist for each of their accounts. 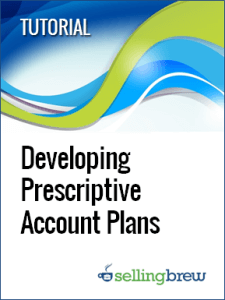 Developing Prescriptive Account Plans explains how it works and how to make this process work for you. Predictive Sales Analytics. Predictive analytics is one of the hottest technology trends of this decade for a reason — it can have dramatic, highly scalable results. If you’re going to argue for an investment in a new tool, why not pick one that can improve every step of your sales pipeline, from forecasting to targeting to pricing. See why this approach has become so popular and learn about the core concepts by watching the webinar on Predictive Sales Analytics. Boost Performance of Inside Sales. Most companies use inside sales to do the less glamorous tasks that the “real” sales team doesn’t want to do, but this role can be so much more strategic. Learn what industry-leading B2B sales teams are doing in Maximizing the Effectiveness of Inside Sales. Double-Down on Customer Retention. We all know that keeping an existing customer is a much better strategy than finding a new one, but understanding which customers are at risk and figuring out how to keep them happy can be mystifying. It doesn’t have to be this way. How to Retain Your Key Customers offers tried-and-true techniques for exceeding your clients’ expectations. Create More Accurate Forecasts. 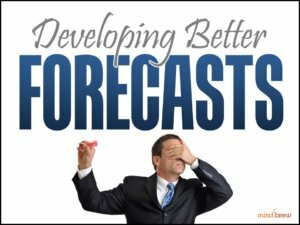 Are sales forecasts a joke at your firm? All too often, past forecasting has proven so inaccurate that neither sales nor management take it seriously. But improving the accuracy of those forecasts can help make the rest of your business planning more realistic, resulting in long-term dividends. Find out how in Developing Better Forecasts. Don’t be afraid to take on a challenge. These initiatives will require a lot of effort, but when you get these projects up and running, you’ll reap the rewards for a long time to come. Learn a powerful 7-step process for growing sales from your existing customers. See how to identify exactly where growth opportunities are and create the account plans that will capture them. In recent years, inside sales has been changing dramatically and leading teams are now playing a much more strategic role. In this on-demand webinar, you'll learn new strategies and tactics for boosting inside sales' performance and contribution. There's never been a better time to be working in Sales Operations. But you can’t just sit back and hope that good things will happen. In this on-demand webinar, learn strategies and tactics for Sales Ops career development. New research shows that even the best-run companies have huge pockets of revenue and profit they just can't see. In this Expert Interview, we discuss what leading companies are doing to capture these "hidden" opportunities. As a relative newcomer on the corporate landscape, Sales Ops often struggles to secure resources and investment. In this on-demand webinar, learn about quantifying and communicating the impact and contribution of your Sales Operations team.